West Virginia Gov. 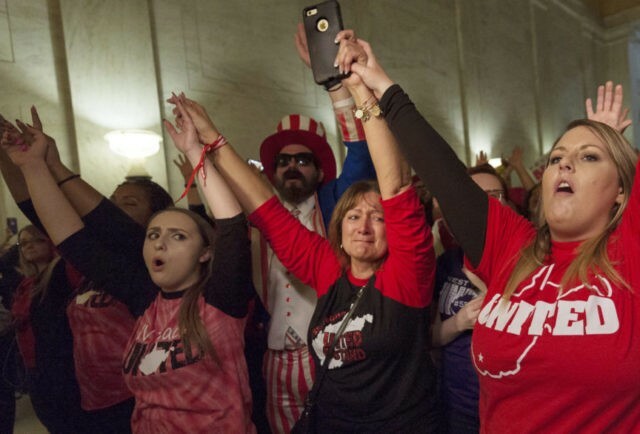 Jim Justice signed a bill to give teachers in the state a raise, ending a statewide teacher walkout that lasted nine days. Justice spoke at a Tuesday afternoon news conference after the Legislature passed a 5 percent pay raise for teachers and others in a deal to end the walkout that closed schools. Justice said it’s important to stop seeing education as a necessary evil that just needs to be funded and start seeing it as an investment. West Virginia’s teachers have been among the lowest paid in the nation and haven’t had a salary increase in four years. Teachers had been on strike since Feb. 22.